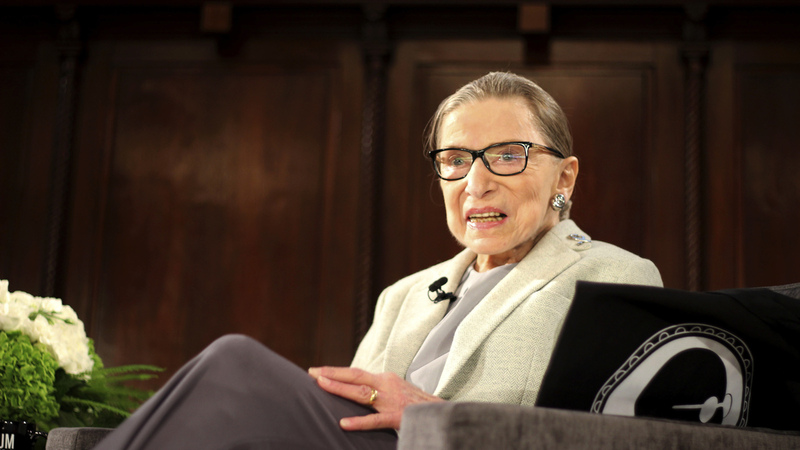 Ruth Bader Ginsburg And The Murky History of Supreme Court Justices' Health Justice Ginsburg's recent surgery recalls more than two centuries of Supreme Court encounters with aging, nervous breakdowns, vanity and triumphs over adversity. Supreme Court Justice Ruth Bader Ginsburg, at an event in December, is expected to make a full recovery and be back at the court soon. For the first time in her 25-year career on the Supreme Court, Justice Ruth Bader Ginsburg was not on the bench to start the new year. After the 85-year-old justice was operated on for lung cancer, she decided to work from home rather than return to the court two weeks after surgery. She's expected to make a full recovery and be back at the court soon. A fair amount is known about Ginsburg's cancers and surgery, but the history of Supreme Court justices and their health is murkier. That's, in part, because the justices — to this day — prefer to keep these matters to themselves as much as possible. But also justices didn't used to be as public facing as they are today, what with writing books and doing interviews, let alone appearing in Oscar-nominated documentaries or having feature films based on their lives. Ginsburg has been more transparent than most, revealing the basic details of each of her three bouts with cancer — in 1999, 2009 and now — and disclosing other, less dire health issues from time to time. Other justices, however, have been less open about their health. Justice Anthony Kennedy's 2005 heart stent was only disclosed after it had to be fixed a year later. Justice Antonin Scalia had health issues that only became publicly known after his sudden death in 2016. And Justice John Paul Stevens, who retired at age 90, only recently disclosed that he made the decision to step down after a fumbled dissent from the bench prompted a visit to his doctor and news that he had suffered a mini-stroke. While modern Supreme Court justices can and do sometimes hide their ailments, it is much harder to do now than in earlier eras — and when something is wrong, it shows. In 2005, it was painfully clear for most of the court term that Chief Justice William Rehnquist, who had been operated on for thyroid cancer, was mortally ill. Throughout the term, Rehnquist released almost no information about his health, and, at the end of the term, he decided against retiring, only to die during the court's summer break. 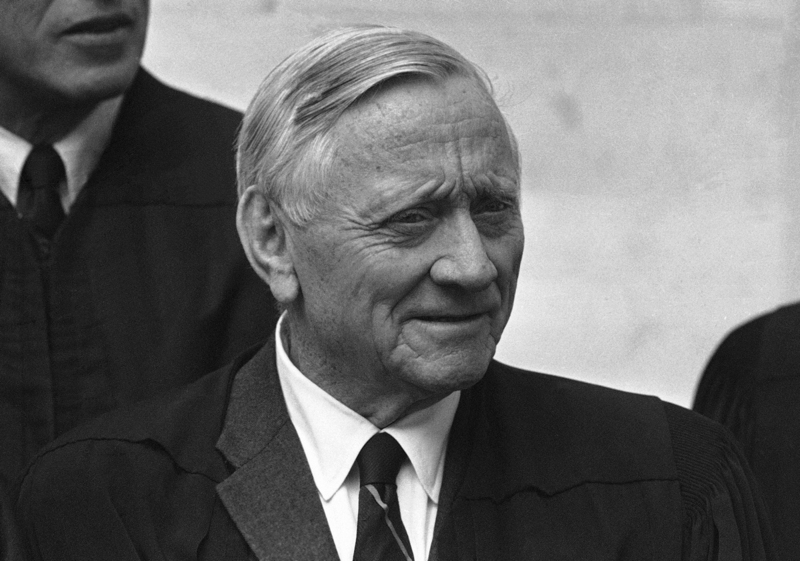 Supreme Court Justice William O. Douglas' continued service on the bench after he had a stroke created problems for his colleagues. Thirty years earlier, the justices were not so public. They did not write books or make many public appearances. Back then, it was the veteran Justice William O. Douglas whose health prompted an internal crisis at the court. Douglas, who had suffered a severe stroke, continued to attend oral arguments and conferences and to vote, though he was in terrible pain and partially paralyzed. Finally, several weeks into the new term, seven of his colleagues — liberals and conservatives — agreed that Douglas would no longer be assigned to write opinions, nor would his vote be counted in any 5-4 decision if he was in the majority. An outraged Justice Byron White vehemently objected. In a letter to Chief Justice Warren Burger, he wrote, "I do not discount the difficulties that [Douglas'] condition presents for his colleagues. It would be better for everyone, including Mr. Justice Douglas, if he would now retire." But, White added, the action that his colleagues were contemplating "perverts the constitutional design." The Constitution, he observed, does not give the other justices the power to deprive a fellow justice of his vote. White further told his colleagues that if they were settled on this course of action, they should at least announce it publicly. With that unspoken threat on the table, it is not entirely clear what finally tipped the scales. But a month later, Douglas retired. As Ginsburg has proved in the past, not every serious illness portends the end of a Supreme Court career. Stevens, for instance, underwent radiation treatment for prostate cancer in 1992 and went on to serve another 18 years before retiring. On the bench, Stevens did not show the effects of his treatment. But in 1988, Justice Sandra Day O'Connor, then 58, wore a wig and looked gaunt and wan for much of the term, as she underwent chemotherapy for breast cancer. She served for 18 more years before stepping down in 2006. Some justices undoubtedly stayed on past their prime but still penned some of their most famous opinions late in their careers. Justice Hugo Black, whose law clerks saw occasional memory lapses in his last years, nonetheless at age 85 wrote one of his greatest opinions heralding the role of a free press in the Pentagon Papers case. There are no good generalizations when it comes to Supreme Court justices and their health. After all, they are not chosen for their physical strength. Justice Charles Whittaker, appointed at 56, found himself paralyzed by indecision once he was on the court with the final say. In 1962, after five years and a nervous breakdown, he resigned, overwhelmed by the responsibility of the office. Then, too, there have been times when the justices wanted a colleague to stay on, even in the face of a newly diagnosed illness. In the aftermath of the court's landmark decision declaring segregated schools unconstitutional, Justice Harold Burton, known as a prodigious worker, was diagnosed with Parkinson's disease and planned to retire, according to St. John's University law professor John Barrett. 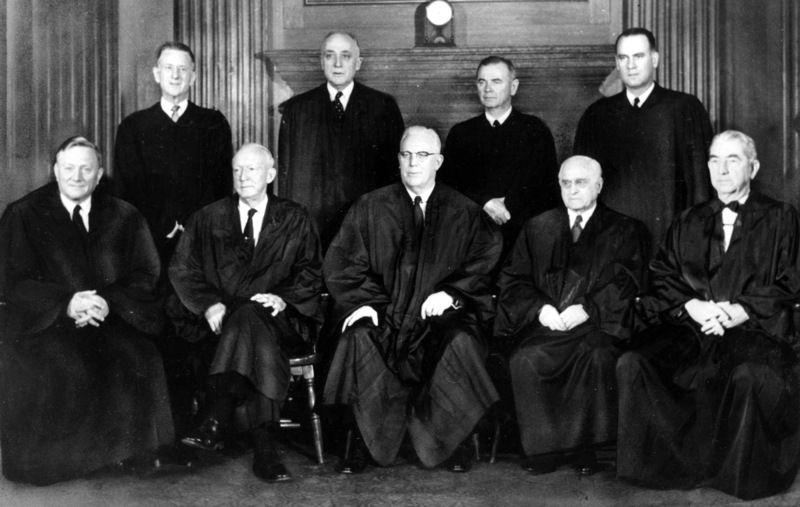 Justices of the U.S. Supreme Court pose for a portrait in their robes in Washington in 1958. Standing at left is Justice Charles Whittaker, who resigned from the court after having a nervous breakdown. But the court at the time was grappling with how to carry out the school desegregation mandate in the face of Southern resistance. So Chief Justice Earl Warren asked Burton to stay on for a year or so. No picture of the justice's health problems can be complete in modern times. But turning to the 1700s, 1800s and even the early 1900s, it is even more difficult to determine what the health problems of the justices were or were not. Indeed, there is still a lively scholarly debate about whether the second chief justice, John Rutledge, named to the post by George Washington during a long Senate recess, was subsequently rejected because he was mentally ill or controversial. For much of this country's early history, Supreme Court justices rode across the country on horseback or in horse-drawn coaches to get to Washington, D.C. for Supreme Court sessions. Chief Justice John Marshall, indisputably the greatest chief justice in the nation's history, broke his collarbone while riding to Washington from his home in Richmond in 1812. Twenty-three years later, in 1835, his spine was seriously damaged on a trip from the Supreme Court back to Richmond when the carriage in which he was riding overturned on the ice. He died later that year, at age 79, after serving as chief justice for 34 years and establishing some of the foundational decisions relied on by the court today. Marshall lived a long life. But in general, for the first 150 years of this nation's history, people died at a much younger age. Until the general use of the first antibiotics in the 1940s, ailments that would be easily curable today were terminal. The flu was often deadly, and even a minor scratch or pimple could prove fatal if an infection developed. In addition, when speaking of the justices' health, the word "senility" was used to refer to all kinds of maladies, even being hard of hearing. And characterizations of a justice's mental abilities often changed, depending on who was doing the characterizing and when. Often age was just an excuse for criticism. When President Franklin Delano Roosevelt sought to expand the number of justices on the Supreme Court in 1937, he cited the ages of the sitting justices, six of whom were over 70, as one of his principal reasons. In reality, FDR's court-packing proposal was motivated by the fact that the conservative court majority was willy-nilly striking down his New Deal legislation aimed at ending the Depression. There is no indication that any of the six justices over 70 was in any way unable to do his work. And the oldest of them, 81-year-old Louis Brandeis, was generally a New Deal supporter. On occasion, the Supreme Court justices themselves have deputized one of their own to tell a justice that it is time to step down. The first such forced resignation appears to have been in 1870. Until then, there were no pensions for justices, and some could not afford to retire. The passage of the Judiciary Act of 1869, which provided a lifetime salary for justices, was immediately put to good use; a committee of justices went to see the failing Justice Robert Grier to urge him to retire, which he did. Of all the justices to prolong their tenure on the bench, perhaps Stephen Field, appointed to the court in 1863, is the most notable. There were many reasons why he held on to his seat for so long. Some of them political, some personal. His wife "immensely enjoyed their social position and dreaded losing the prestige that the Court brought to them," according to historian John Goff. But by the early 1890s, Field's colleagues deputized Justice John Harlan to urge Field to retire. Finding the aging justice dozing in the robing room, Harlan reminded Field that in 1869, he had been part of a committee that urged Grier to resign. Harlan later related what happened next: "The old man listened, gradually became alert, and finally, with his eyes blazing with the fire of youth, he burst out, 'Yes, and a dirtier day's work I never did in my life.' "
Field's reason for refusing to retire at that point was that he wanted to break Marshall's 34-year record of service on the court, which he did several years later, retiring in 1897. The oldest sitting justice was also one of the greatest. Oliver Wendell Holmes was just shy of 91 when he retired in 1932. A decade earlier when William Howard Taft became chief justice, he thought that Holmes should resign. But after a few years serving with Holmes, he changed his mind, impressed with the vigor and vitality of Holmes' work. Certainly Holmes was physically weaker in his 80s, but as Taft put it, "I cannot see that the acuteness of his mind has been affected at all." As fate would have it, it was Taft whose health failed first, forcing his retirement. Taft's successor, Chief Justice Charles Evans Hughes, thought Holmes was still a stellar justice. He observed Holmes taking full notes at oral arguments, just as he had 20 years earlier when the two men were both associate justices, prior to Hughes' run for the presidency. Historians recorded a great sense of pride among the justices and the nation as a whole when Holmes, who had been wounded as a soldier in the Civil War, turned 90 on the court in March 1931. But seven months later, Hughes began to see a difference. In his notes, he wrote that that while Holmes "was still able to write clearly," he could "no longer do his full share in the mastery of the work of the Court." By January of that year, a majority of the justices favored requesting Holmes' retirement. The unpleasant task fell to Hughes, who paid a visit on Holmes at his residence. Hughes need not have worried. He recorded in his notes that as soon as Holmes realized the purpose of the visit, he "without the slightest indication of resentment ... wrote his resignation." The next day Holmes' almost-30-year career on the court was over.